Getting a new roof is nothing to scoff at so you want to make sure that you make the most of it, starting with timing a replacement project just right. 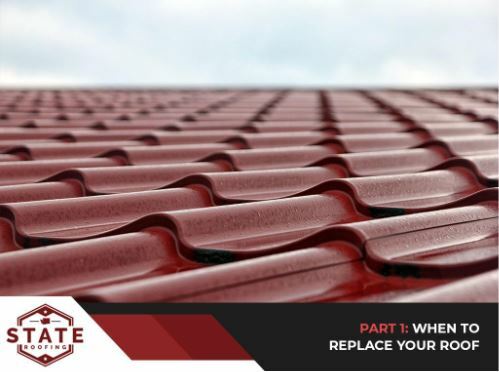 The general idea is that you don’t want to do it too soon and miss out on your roofing system’s remaining service life but you don’t want to do it too late either and face the consequences of bigger roofing problems. So, when should you replace your roof? Is your roof old? If you have an asphalt shingle roof and it’s about to celebrate its 25th birthday, you should be getting ready to get a new one. Even when it still looks good, an old roof is harboring decades of wear and tear, which can manifest in problems at any time. If you are not experiencing any roofing issues, you might still be able to get years off your roof so take the breathing room as an opportunity to save up, if needed, or to learn more about your roofing options. Is your roof sagging? A sagging roof is indicative of a structural issue, so don’t ignore it! The problem, however, might not necessarily be on your roof, as it could be originating from attic decking or your home’s foundation. Either way, have your roof checked out as soon as possible to prevent structural issues from worsening. Is your roof still attractive? Cosmetic issues can usually be addressed with a good cleaning, but if your roof is detracting from your home’s curb appeal even after it’s been cleaned, it is a good candidate for replacement. To get your roof replacement project started, get to know your residential roofing options. Learn more about the top choices available to you in Part 2 of this blog series.